Volkswagen recently announced the many soon-to-arrive 2019 Volkswagen models. 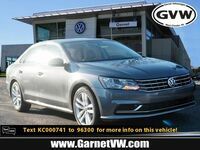 These announcements have updated the rest of their catalog, providing information on the 2019 models of the Atlas, Passat, Tiguan, and the entire Golf family. To start with, however, we’d first like to look at the 2019 Volkswagen Passat. 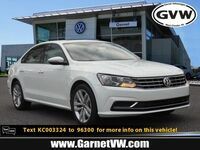 While every one of these new 2019 VW models includes some sizeable updates, the 2019 VW Passat is unique. The 2019 Volkswagen Passat will release will all new trim levels dubbed as the Wolfsburg Edition and the SE R-Line®. 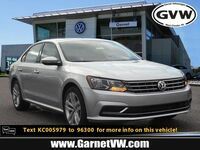 Additionally, the 2019 VW Passat features many significant technology and design updates. So, let’s start with a fresh look at the upcoming 2019 Volkswagen Passat! 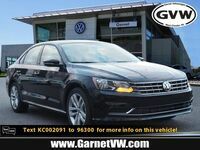 When Can I Buy the 2019 Volkswagen Passat? The starting trim level of the 2019 Volkswagen Passat, the Wolfsburg Edition, will have a starting MSRP of $25,295. Meanwhile, the 2019 Volkswagen Passat SE R-Line® trim level will have a starting MSRP of $29,995. 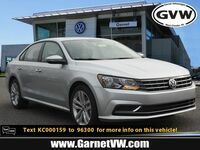 Set to release in the last quarter of 2019, you can learn about the additional specs and features of the 2019 Passat and the rest of Volkswagen’s 2019 models by contacting us. 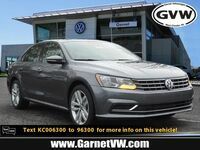 Reach us here at the Garnet Volkswagen dealership located in West Chester, Pennsylvania.